I sold the car years ago, in hopes of finding a Black on Black 66 SS L-78 Chevelle... and only just recently took possession of that dream car! The Mystery Chevelle remains in the hands of the gentlemen I sold it to in Southern California and we are still in touch. So, that car is in fact where the name Mystery Chevelle was born, a name that has now become synonymous with me and my web site throughout the world! Actually, it’s a nickname I am proud to be associated with! 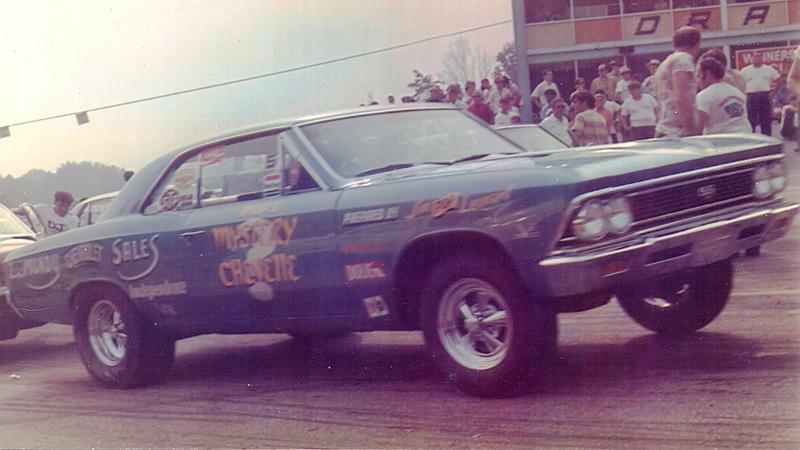 The Mystery Chevelle… ahhh yes… there has been some confusion over the years as to what the MYSTERY CHEVELLE really is? Which car is it? Do I still have it? What’s the Mystery?? I figure it's about time I clear it up and give a brief overview about that very special car! The Mystery Chevelle was a Marina Blue/Bright Blue Bucket seat interior 66 SS that I owned many years ago. MYSTERYCHEVELLE.COM was a simple web page I created to showcase this car to my friends. I purchased that car in Baton Rouge, LA but at the time, didn’t know its true pedigree. It was semi-restored when I bought it, all original sheet metal car and in nice condition, but I brought it up a notch and showed it fairly regularly on the car show circuit. It was even honored with several prestigious awards and even a couple magazine features. It was several years after I had been showing it that I discovered it had a very cool history indeed! I was able to uncover this history in the process of tracking down its previous 5 owners... one of which was the original owner, Jim Leonard of Independence, VA. I spoke with Jim by phone and actually recorded the entire conversation. It was at this time that I discovered I owned a pretty unique 66 SS! The story I was told was that this car was special ordered. Jim was a fairly well known racer in the Virginia/North Carolina area and every year he ordered a new high performance car to take racing. This one was ordered with the 396/375hp engine, Muncie M-22 4 Speed Transmission and a 4.56:1 Posi Rear! Jim recanted that when it arrived at the B&L Chevrolet dealership in Hillsville,VA it had a 4:10 rear (still decoded KK on rear axle when I had it), which didn't sit well with him because this car wasn't going back and forth to work... it was strictly for the track. He refused to accept the car without the 4:56 gears and so as they say, the squeaky wheel gets the grease... or in this case the rear, and it was done! Another even more interesting item this car came with was an Ultra Rare Cowl Plenum Air Cleaner. This was something I had heard stories of but never actually saw... a concept originated by Smokey Yunick of NASCAR itself. Jim told me that it came in the trunk and the dealership cut the hole in the firewall for the system to be installed later. Sure enough, when I looked at the back of the cowl on passenger side, I could now see where years later someone had brazed in metal to cover up that hole! Jim told me the first three years of its life was spent primarily breaking many track records and even winning the 1968 Spring Nationals at Bristol, TN Raceway! 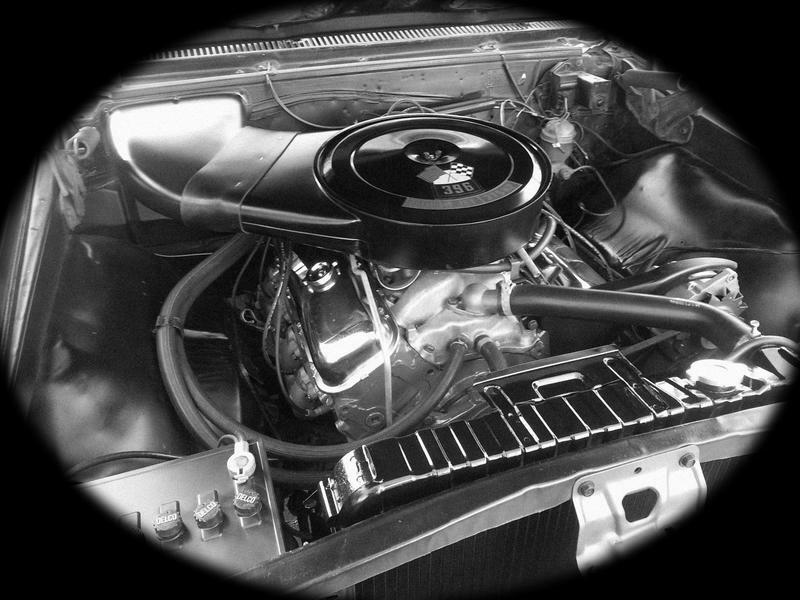 The car was raced under the name of "Pop's Mystery Chevelle" (as seen in the B&W photo). POP was the nickname everyone knew Jim Leonard by and nobody could ever figure out how he got his car to go so fast. It was simply a MYSTERY! The name caught on and his car soon received its nickname. The Mystery Chevelle was retired from racing in 1970 and the engine was replaced with a 327 Corvette engine and automatic transmission so that the “Mrs.” could use it as a daily drive to work. The car first changed hands around 1982 when Jim's next door neighbor bought the car after wanting it from the day it first came home from the dealership in 1966. He later gave it to his daughter as a high school graduation present! It only stayed in this little town of Independence, VA for another 2-3 years before making it to North Carolina and then on to Louisiana for its 1st partial restoration. It was at this time that the car got treated to some of its original power. A 396/325 hp engine from an identical appearing 66 was put under the hood as well as the matching M-21 4 speed from that car and a set of 3:73 gears. That 396/325 hp was built by another well known racing team, the "Woods Brothers", and so that's why it got some of its original power back... if you know what I mean. That identical car was scrapped, but the P.O.P and both vin plates were held on to as well as its original NC title (I had all of these items when I owned the Mystery Chevelle). The Mystery Chevelle's original 396/375hp (L-78) engine and transmission are out there somewhere, but I never had the good fortune to get them back. I was told the engine itself was in a speed boat in VA but the owner won't take calls! The car changed hands one more time in LA and then found its new home here with me in Pennsylvania. I showed the car fairly extensively in the time I owned it and had always considered returning it to its glory days look, all lettered up and DAY 2 looking, but that never happened.